Yes, even people who spend their time “leasurely traveling” around need a vacation! 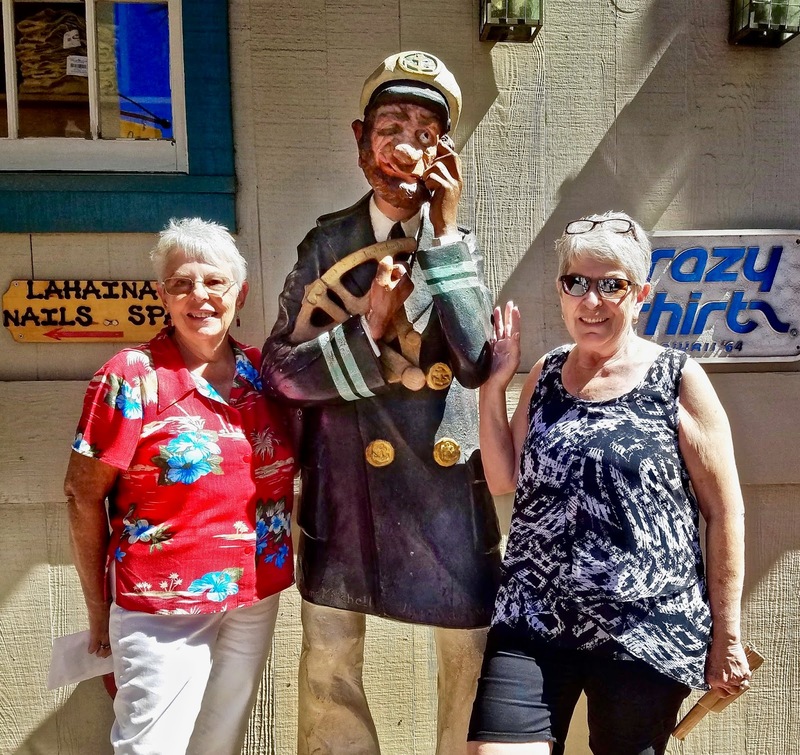 For us, it means getting away from the RV and camping - so we hop on a plane and stay in one of our time share places. This time, it was a week in Maui. A week isn’t very long (for us) but we took some friends along with us, and booked two suites. 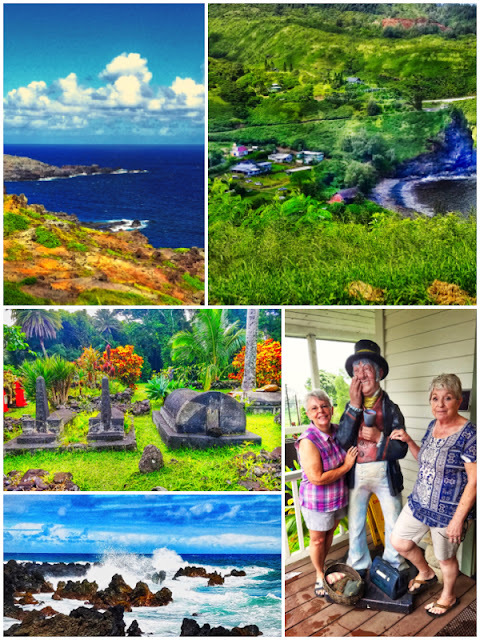 Our friends had never been to the islands before, and when we heard that, we couldn’t resist taking them along! It’s so much more fun to share the adventure with others. 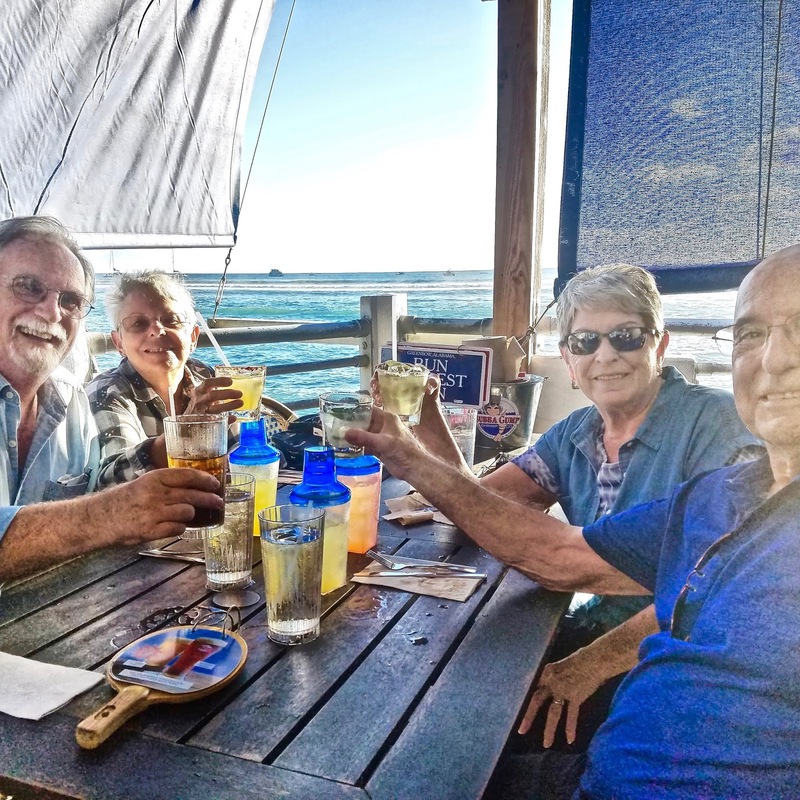 It was also Jack’s 75th birthday, so that added to the celebration. Having been before, we were excited to show John and Delores all around. The weather was glorious, and we didn’t waste a moment after we arrived. First stop, downtown Lahaina! Lunch at Bubba Gump’s for fresh sea food and a “toast” to celebrate our stay. A nice walk around town, taking in all the lovely views. It didn’t take Delores long to buy her first souvenir either! 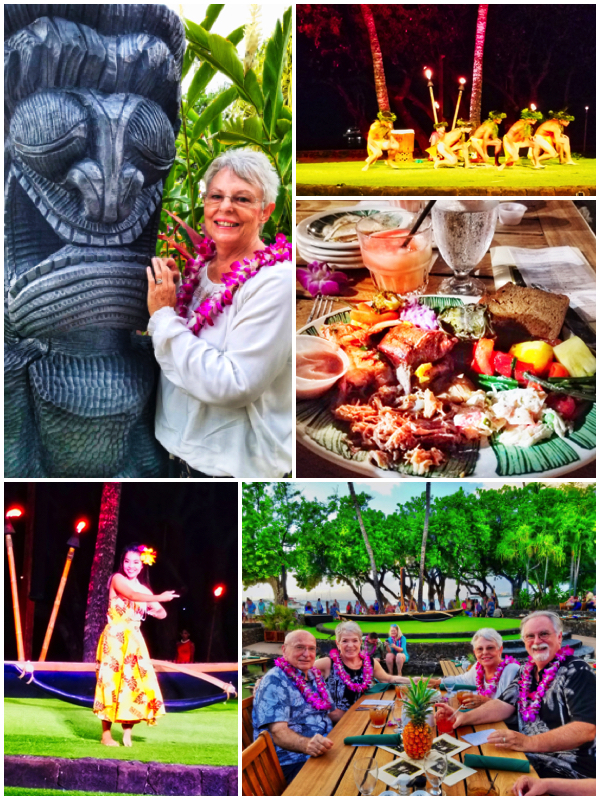 High on our list of “to do’s” was a luau, and that was booked before we left. 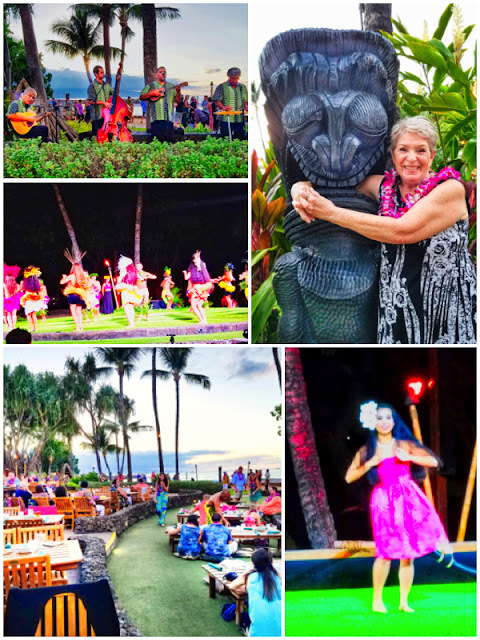 I had talked with someone from the time share and set it all up and got us VIP seating for the best one on the island, The Old Lahaina Luau. I had read about it, and was excited to see it. We had done one in Kauai, but not in Maui, so this would be new for us as well. The night of the luau, our hosts met us and we all got our pictures taken, then were escorted to the luau and were greeted with orchid leis and cocktails. We had our own server throughout the evening that never left our side. Our seats were the BEST! The only ones in front of us, were the ones sitting on the floor (no thanks, to old for that!). The entertainment, the food, the drinks, the atmosphere, everything, was just wonderful. We really lucked out on the weather too, as it was right on the beach, and we didn’t even need our light sweaters we brought. Such a great night. 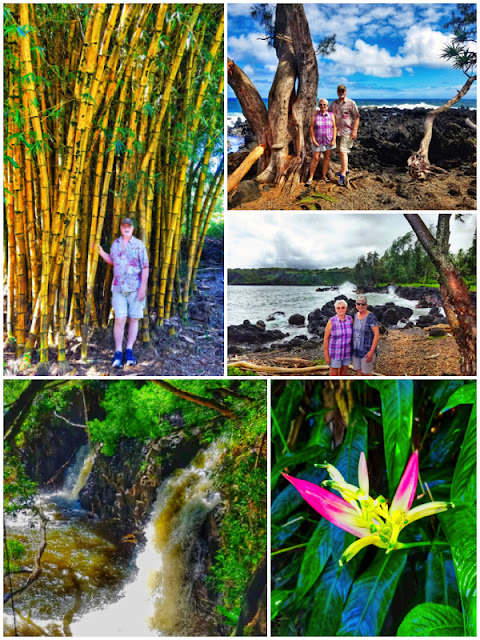 The following day, we took them on the road to Hana. I don’t think they liked it as much as we did. Delores isn’t much for winding roads - even if the scenery is beautiful. I thought that if we took it slow, and stopped a lot, she would be okay, but, not really. Oh well…we still loved seeing it (again). It’s some of the prettiest part of the island, I think. We did stop at one new place this time, and that was at MauiWine. Delores, John and I did wine tasting. We all agreed…pineapple wine is not for us. Oh well, it was fun trying it. 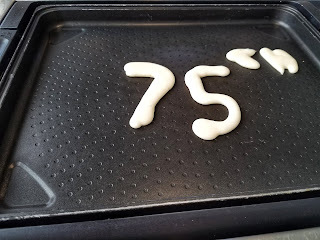 Jack wanted to celebrate his birthday at Slappy Cakes a pancake house. So, that’s what we did! 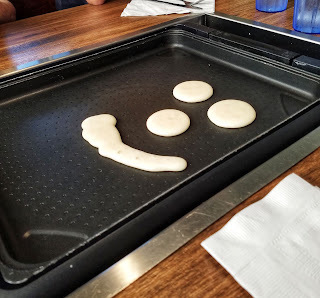 It’s a unique restaurant where you can make your own pancakes on a griddle in the middle of the table and/or order pancakes as you do at other places. While we ordered ours, Jack made his. He had fun playing with the shapes of his pancakes, making faces, and his “age”, etc. He may be 75, but he’s still a kid at heart! The week went by way to fast. 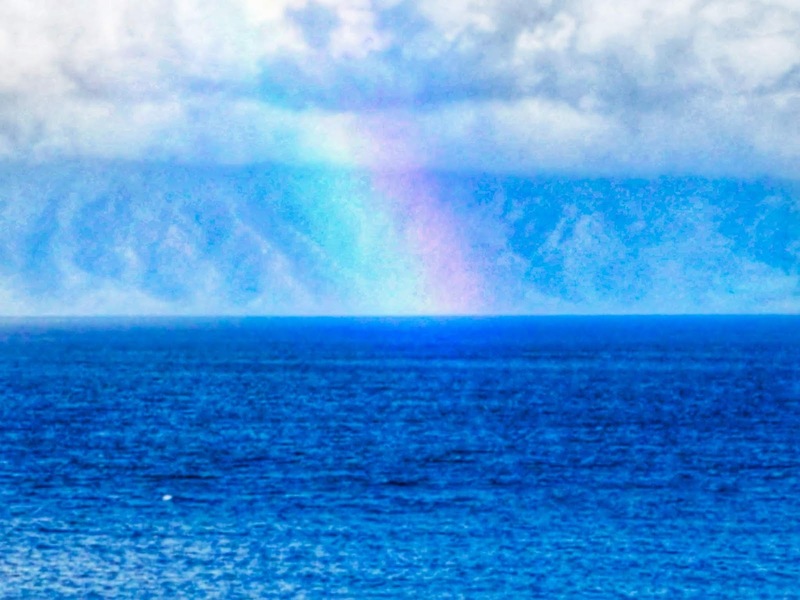 Beautiful days with lovely sunrises and sunsets and even a rainbow or two. But, all good things have to come to an end (or so they say)…so on the plane we came home, once again. We are now back in Arizona, nose deep in settling in to this new tiny house of ours. Still finding things we’d forgotten we had, wondering where we are going to put it now, or do we get rid of it…and in between it all, planning our next adventure!